Our Arc Flash PPE Safety Awareness Training Course is conducted by our experienced training instructor. Our Training Course is carried out on-site with each session usually taking 2 hours. With an ever increasing duty on employers to ensure the safety, health and welfare of people at work, this course will give you a very good overview of Arc Flash Hazards and the importance of wearing appropriate Arc Flash PPE. 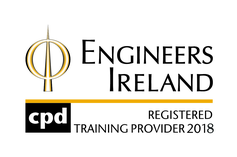 This course has been approved by Engineers Ireland for CPD. For further information or to arrange your Arc Flash PPE Safety Awareness Training, email or call us on 057 866 2162. 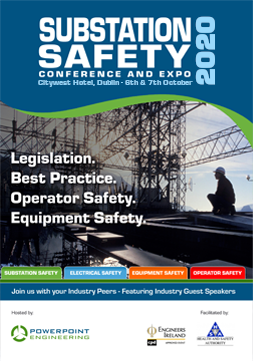 Personnel undertaking service or maintenance work on industrial equipment will get a good overview of Arc Flash hazards and the importance of wearing appropriate Arc Flash PPE. We are accredited by NSAI to ISO Standard 9001:2008. On passing an examination, you will be issued with a Certificate of Completion. Our Training Courses are held in either Portlaoise or on-site depending on your preference. Each session usually takes 2 hours. In addition to this, we have an excellent Arc Flash PPE knowledge as we are authorised distributors for the main suppliers including ProGARM, Fristads, Tranemo and Roots.